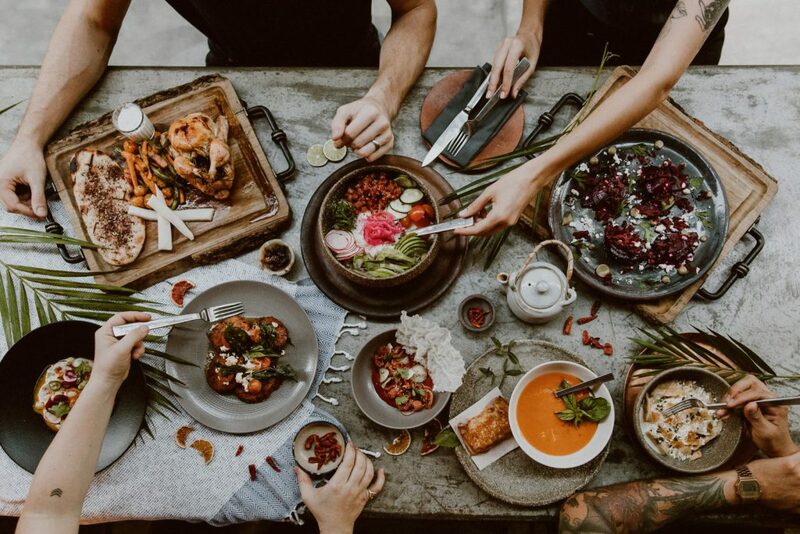 Flora Farms is comprised of a 25-acre working farm, home to the Farm Bar, Flora Farms Grocery and Flora’s Field Kitchen, the signature restaurant located in the center of the field with an on-site bakery, a butcher shop and a brewery. Due to its own 150-acre free-range ranch, the restaurant only serves what they make, raise and grow. Enjoy Neapolitan-style pizzas from their wood-fired oven, innovative cocktails at the bar, sweet treats from the ice cream cart and more. The farm also offers guided farm tours, cooking classes, boutique shopping, The Farm Spa, Culinary Cottages and Haylofts. Acre is highlighted by its chic farm-to-table restaurant featuring an urban menu using locally sourced ingredients from its own farm and neighboring suppliers to create a fresh and innovative food and cocktail menu. 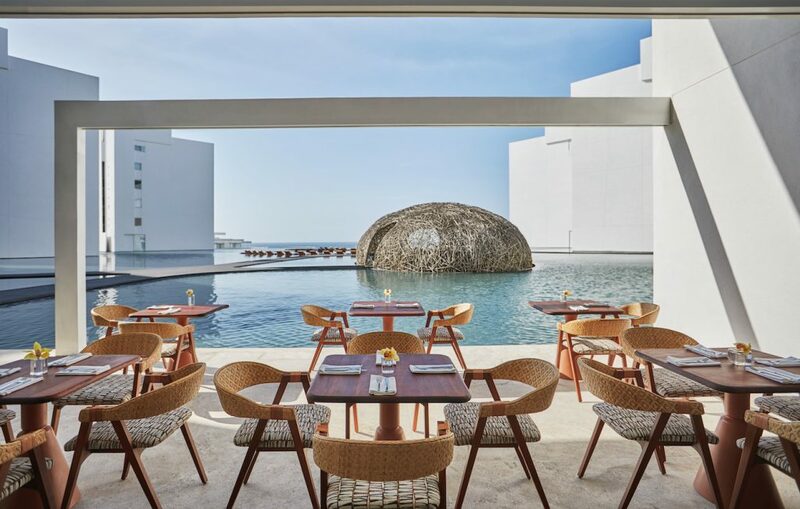 Acre’s design features walls compressed from surrounding earth and shade structures made from local palo de arco trees, while the décor, furniture, dishware and lighting are sourced from the Baja and Mexican mainland. The award-winning bar and restaurant is complemented by its stunning event spaces, treehouses (to stay in!) and soon-to-debut villas. Since 1986, Romeo & Julieta has been a favorite among locals and visitors for delicious Italian eats. Inspired by a Tuscan hideaway, the romantic outlet has exposed rock walls, vaulted brick ceilings and live music every night. The newest addition to the restaurant is The Wine Bar. Located adjacent to Romeo & Julieta, the outlet will be a hip, laid back extension featuring wine tasting events and more. 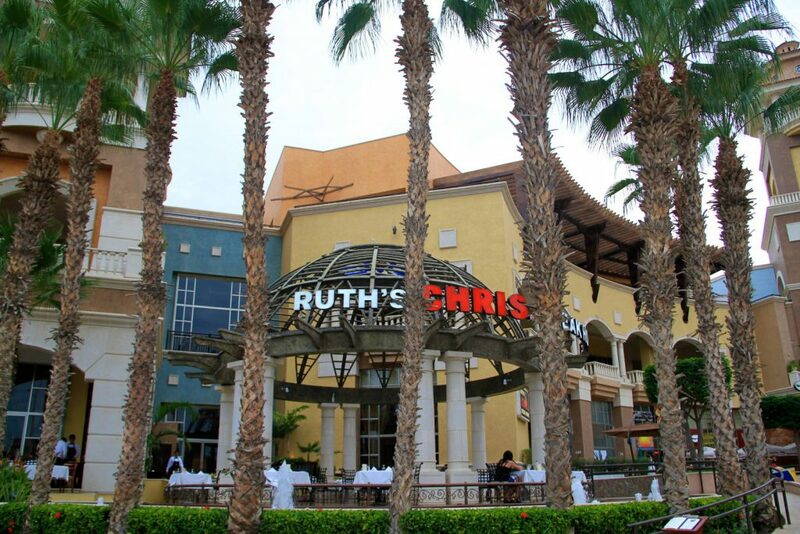 Sophisticated Mexican flavors meet Pacific Rim traditions at The Cape’s signature outlet. Led by Executive Chef Enrique Olvera, Manta features an exhibition-style kitchen with teppanyaki and robata grills for an interactive dining experience. 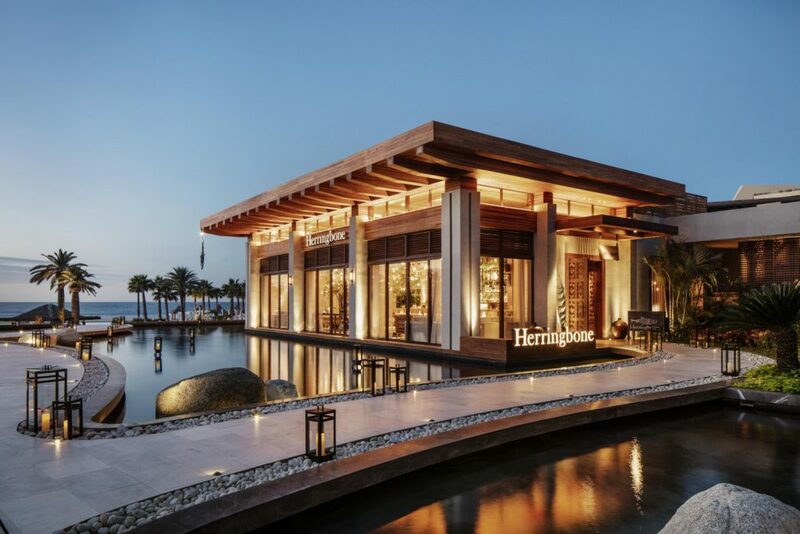 Dine al fresco on the oceanfront terrace or indoors among the rich wood, leather and dark stone design elements. 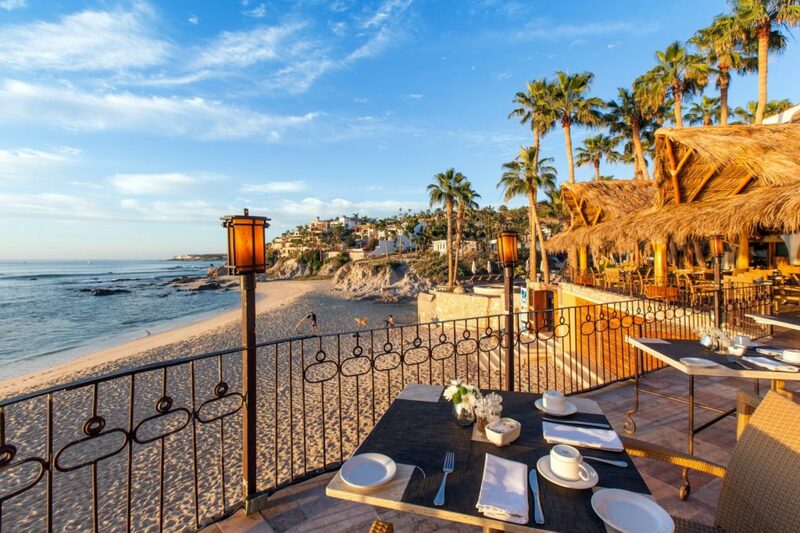 For an absolute dreamy, romantic evening, reserve a table at newly renovated Cocina del Mar. 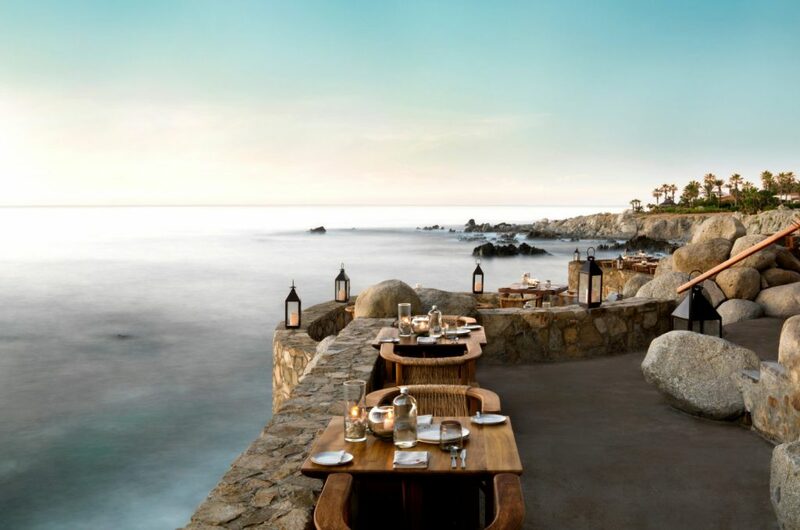 Perched over the rocky cliffs, the oceanfront restaurant is led by Chef Guillermo Gomez and is known for its fresh seafood dishes. Be sure to try the totoaba, a mouthwatering fish exclusive to the northern region of the Sea of Cortez and a signature dish of Cocina del Mar. 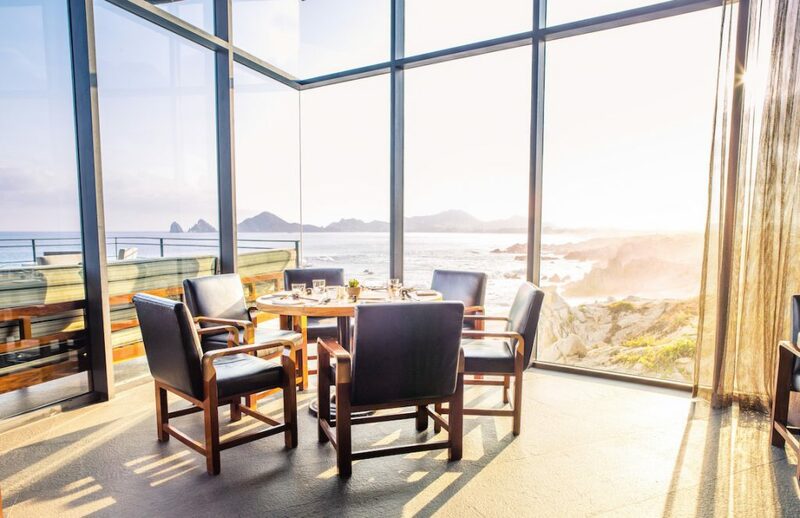 Meaning “a rock that comes out of the ocean,” El Farallon features cliffside seating above rocky waters and looks out over the Pacific Ocean. The menu features a selection of ocean-to-table options including local, fresh fish specialties. For a pre-dinner experience, visit the restaurant’s Champagne Terrace where guests are guided through a bubbly lesson in the sparkling beverage. Treat your tastebuds to a full Latin experience at Toro. Meaning “bull” in Spanish and “tuna belly” in Japanese, the menu offers suviche, small plates, grilled entrees and more for a tasty trip in Pan Latin cuisine. Overlooking Punta Ballena, the restaurant’s patio is a favorite spot for whale watching, complete with views, a fire pit and cozy seating. 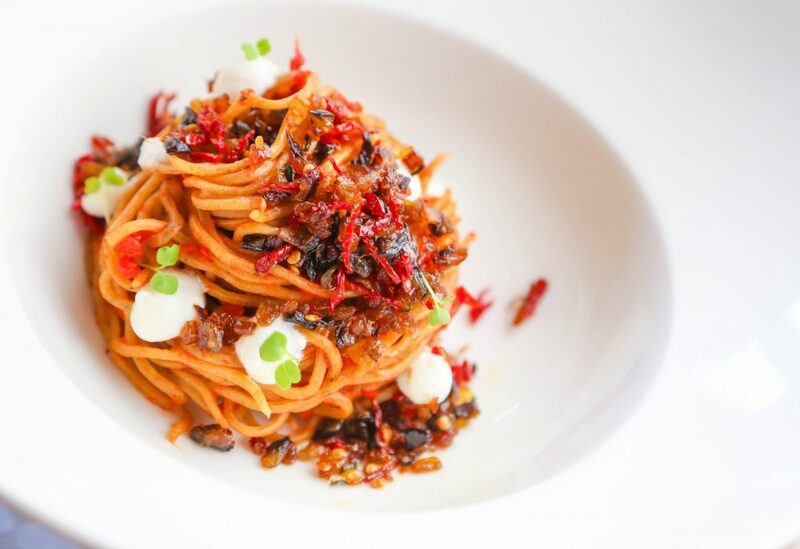 Serving a unique interpretation of Mexican-Mediterranean cuisine, Agua by Larbi offers a seasonally driven menu based on the availability of locally sourced ingredients and seafood selections. For a secluded dinner, snag one of the restaurant’s moonlight dining tables perched along the cliff’s edge and surrounded by stone and cushioned banquettes. 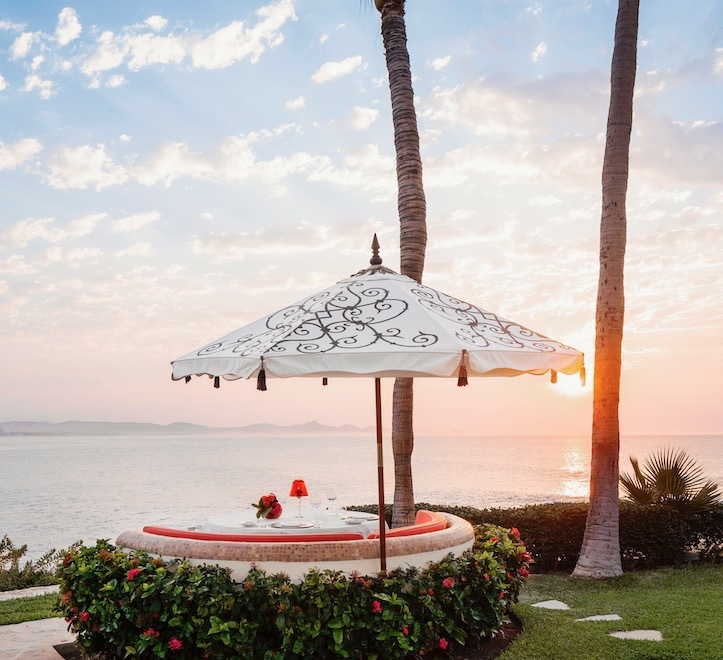 These cozy tables look out over the Sea of Cortez, making it the ideal spot for a romantic evening. Sunset Monalisa is the delicious monument of the love between Florence’s Giorgio Battaglia and Cristina Bremer Rodriguez, niece of former Mexican president Abelardo Rodriguez. With its spectacular views and unique environment, the venue is designed to tantalize the senses and engage your emotions. Diners can savor Novel Mediterranean cuisine by Chef Casiano Reyes in a passionate atmosphere made up by live music, an ultra-romantic setting and the iconic Ocean Terrace by Veuve Clicquot. 7 Seas Seafood Grille is a casual seafront grill serving up a blend of Mexican, Mediterranean and Asian flavors. Diners can dig into an assortment of surf and turf eats like sea bass, lobster, steaks and more while gazing out at Medano Beach. 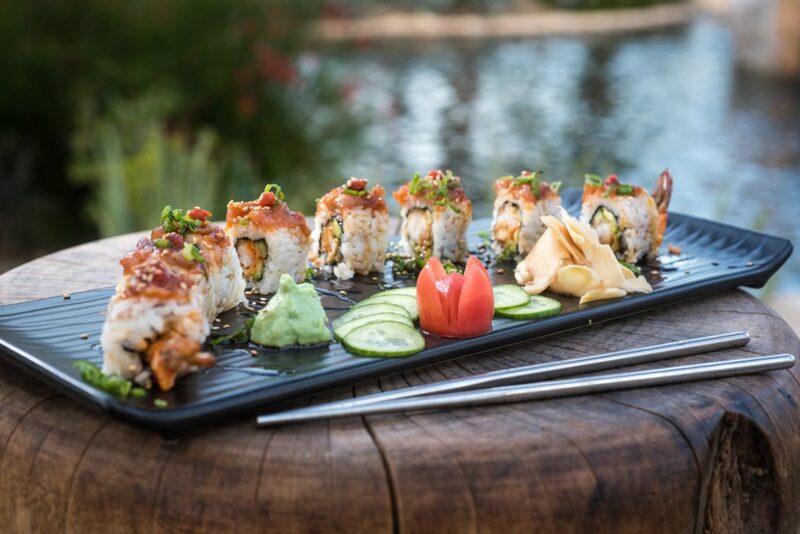 7 Seas is open for breakfast, lunch and dinner and offers a generous offering of gluten-free dishes. Highlighted by a glass-walled meat cellar that’s stocked with a wide range of varying cuts of the finest meats including Japanese Wagyu A5 and more, SEARED is a carnivore’s paradise. 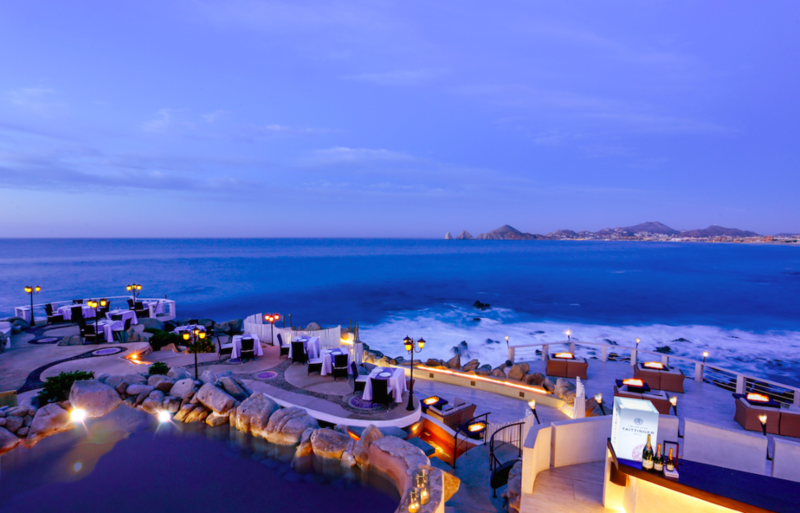 The restaurant also serves up fresh seafood and one of Mexico’s most extensive wine lists. Don’t miss the assortment of accompanying sauces like chimichurri, black pepper and SEARED’s own steak sauce. 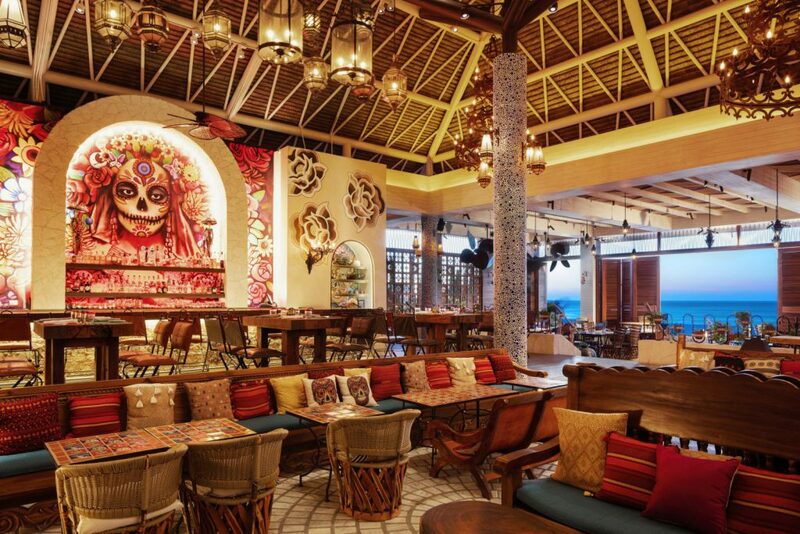 It’s Dia de los Muertos everyday at beachside Casa Calavera, the newest restaurant concept from Hakkasan Group. From the decor down to the dishes, guests will enjoy an authentic Mexican vibe. Dine on popular fare like ceviches and tostadas before diving into tacos, empanadas and enchiladas. For a truly decadent dinner, order up one of the larger selections like Lamb Shank Barbacoa, Spiny Lobster Puerto Nuevo Style or Chile Rellenos. 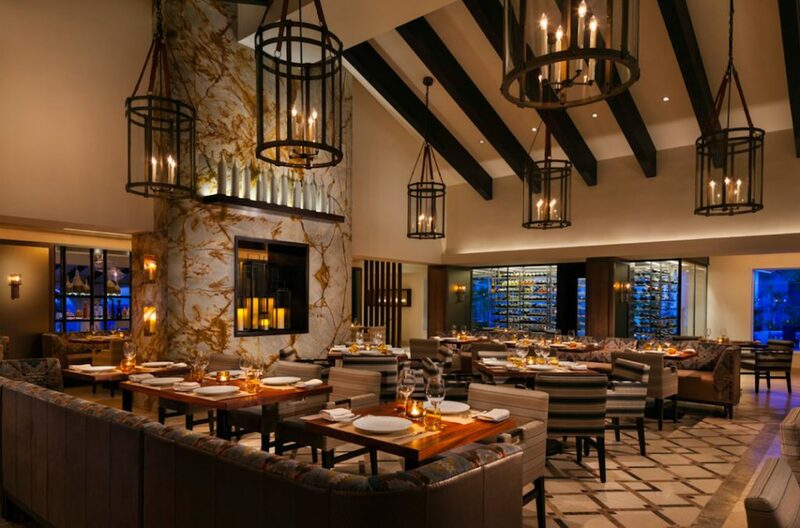 Incorporating the beachside beauty of Los Cabos into the restaurant’s design, the Cabo restaurant is the first international outpost of the popular “Fish Meats Field” concept. Guests can expect to dig into coastal cuisine using local ingredients, line-caught seafood and high-quality meats. Order up the catch of the day or one of the standout dishes like the Totoaba with pistachio puree, baja green papaya and banana pepper relish or the Buffalo Octopus, served with black eyed peas, celery, carrots and ranch. Sink your teeth into good eats at Casero, the resort’s main restaurant and Mexican kitchen. The three-meal outlet features fresh-pressed tortillas daily, plus the “forgotten spirits” of Mexico from places like Tepache and Sotol. Enjoy traditional dishes like chilaquiles or munch down on vibrant langosta tacos and more in a stunning indoor-outdoor atmosphere. French techniques meet Mexican flavors at this fine dining restaurant designed by Chef Thierry Blouet. 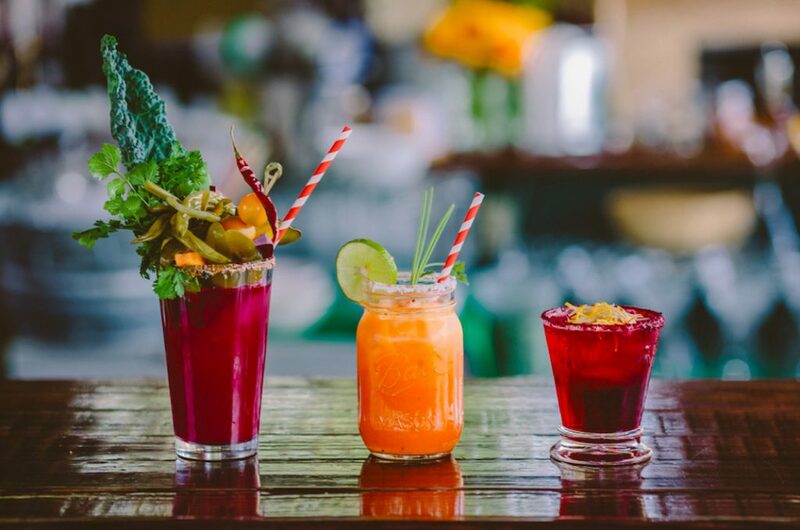 The menu is a compilation of customers’ most-loved flavors over the past years at its sister location in Puerto Vallarta. 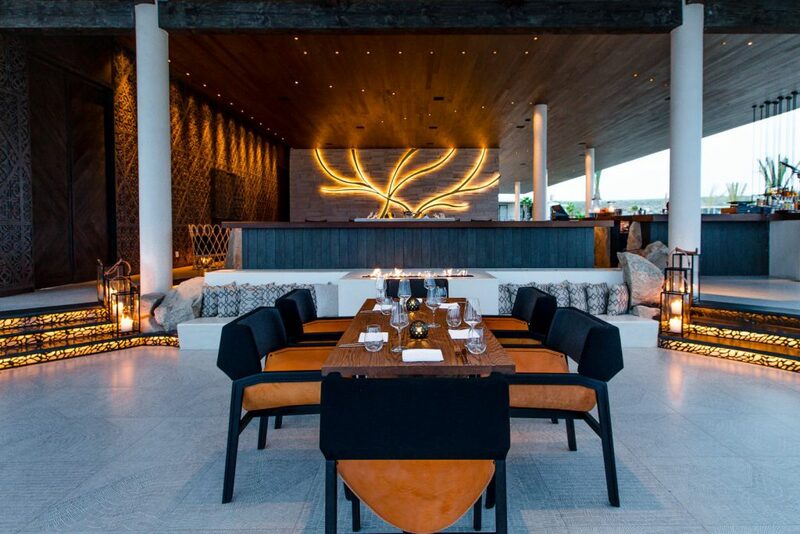 The Cabo location features a wine cellar full of the best Baja California wines, a chef’s private table and bars. Known for their custom-aged USDA Prime midwestern beef, diners can look forward to juicy cuts of all kinds. Paired with hearty accompaniments like seafood towers, lobster mac-and-cheese, New Orleans-style barbecued shrimp and more, this classic steakhouse will please any meat-loving diner.